The U.S. Centers for Disease Control and Prevention (CDC) recommends seasonal influenza (flu) shots for cancer patients and survivors and anyone who has contact with a cancer patient. To be safe, however, check with your doctor first before getting a flu shot or any other vaccination. Cancer patients and survivors should get the flu shot, not the nasal mist form of the flu vaccine. Shots are safe for people with compromised immune systems because they're made from inactivated virus; the flu mist is made from a live virus. The ideal time to be vaccinated for seasonal flu is in the fall as soon as the shot becomes available as it takes about two weeks for the vaccination to begin providing protection. Before you get the shot, let your doctor know about any allergies you have and any previous reactions to a flu shot. The CDC and the American Society for Blood & Marrow Transplantation (ASBMT) recommend flu shots for all bone marrow, stem cell and cord blood transplant survivors beginning one year post-transplant and continuing every year thereafter. The flu shot is also recommended for others living or working in the household. Although most transplant centers follow the current CDC guidelines regarding flu shots, some recommend flu shots even earlier than one year after the transplant. For more information about the flu and special considerations for people who have cancer, visit the CDC's Cancer and Flu page. Ask your doctor about other vaccinations you may need, such as immunization for pneumococcal pneumonia. There are two types of pneumococcal vaccines available for adults: a pneumococcal polysaccharide vaccine (PPSV23) and a pneumococcal conjugate vaccine (PCV13). Adults who have a blood cancer diagnosis generally need to receive both vaccines. Talk to your doctor for more information. 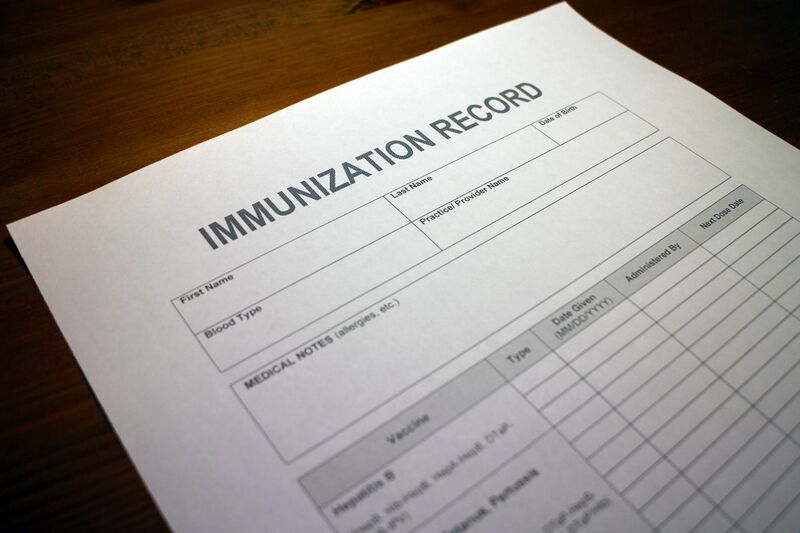 Your immunization schedule depends on several factors, including the treatment you're receiving and whether you're in remission. For example, people with blood cancer who are undergoing chemotherapy or radiation therapy should avoid getting a Zoster vaccine to prevent shingles. Once you're in remission, your doctor may recommend the shot. Contact your primary care doctor and oncologist to see if an antiviral drug is recommended for you. Avoid contact with people who have the flu, which is spread mainly by person-to-person contact. The CDC recommends that people who are coughing and sneezing stay home from work or school and limit contact with others to keep from infecting them. Follow general public health advice about avoiding crowds. Cover your nose and mouth with a tissue when you cough or sneeze. Throw the tissue away right after you use it. Wash your hands often with soap and water, especially after you cough or sneeze. If you don't have access to soap and water, use alcohol-based hand cleaners. Reduce the spread of germs by avoiding touching your eyes, nose or mouth. As a precaution, store a supply of food, medicines, alcohol-based hand rubs and other essential supplies.